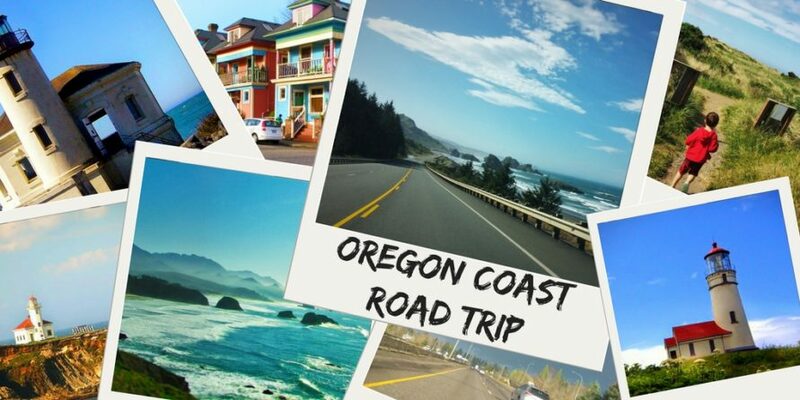 It’s time for some exploring and what could be better than an Oregon Coast road trip in the off-season? 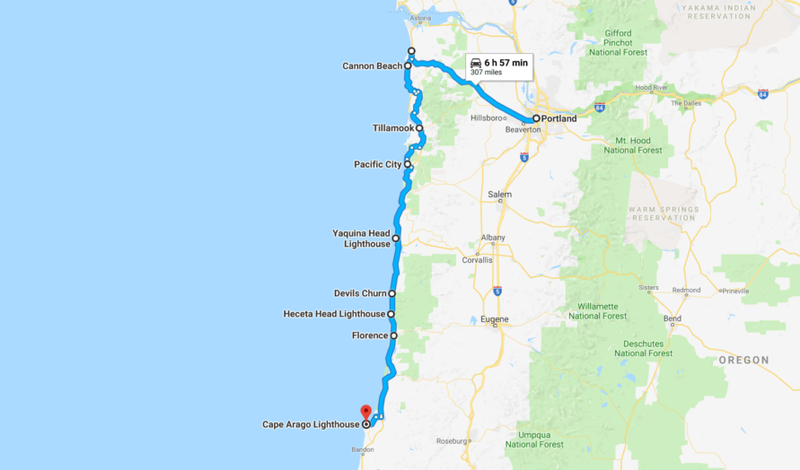 We’ll be starting in Portland and heading out to the coast, stopping at hiking spots, lighthouses, cheese factories and sea caves. The kids are excited, but not half as much as us Dads! 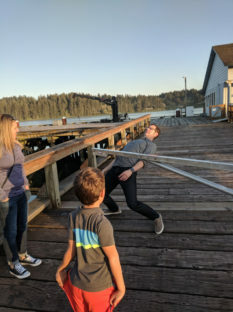 There are a few ways to experience the Oregon Coast. 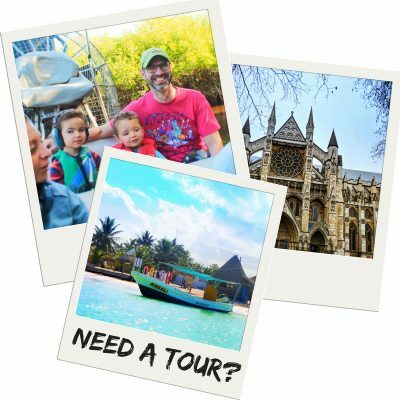 Since we’re doing it with kids and when it’s not summer, we’re going for the sightseeing and relaxing method vs the adventurous surfing and hiking route. 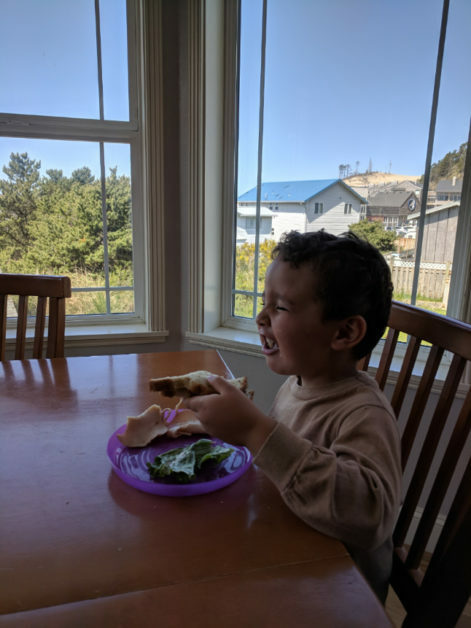 We’ll be staying in Portland, Pacific City and Florence, so we’ll be sure to have plenty of great tips after this trip (and lots of cute kids pics too!). Spending a day in Portland, Oregon, we’ll do a little exploring. 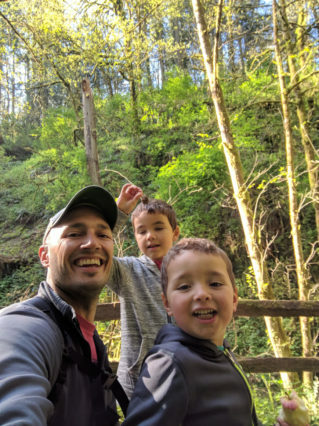 We normally head east to do the incredible Columbia Gorge waterfall area, but this time we’re actually going to see what Portland has to offer for a trip with kids. Moving on from PDX, we’ll head to Seaside. It’s a cute little town right on the beach. Think Coney Island but on the West Coast and without an amusement park. 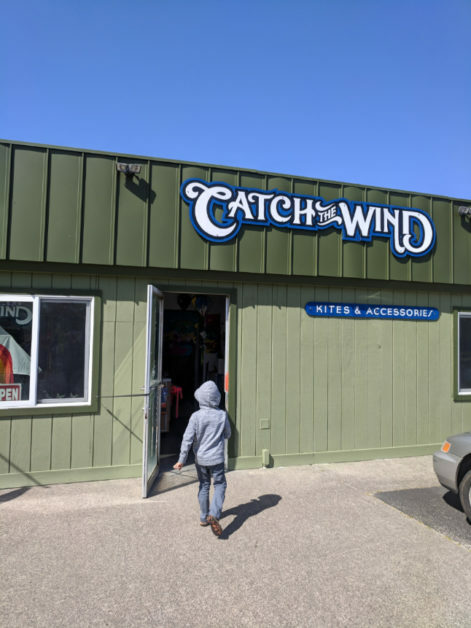 Next up we’ll chill in Cannon Beach for a bit and watch for One Eyed Willie’s boat to sail out (the end of Goonies… Cannon Beach…). 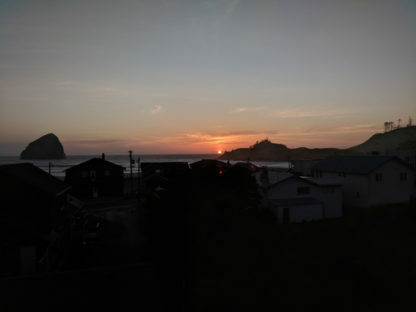 From there we’ll seek out some lighthouses, taste some cheese, and eventually check into our lovely VRBO in Pacific City. 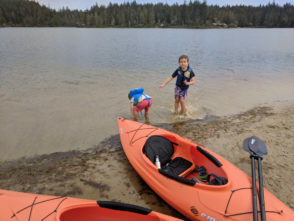 Having a home base here for a few days, we’ll do some kayaking with the kids, enjoy the local brewery scene, and explore tidepools. From Pacific City we’ll head south through Newport to Florence. Here we’ll stay for the next week. 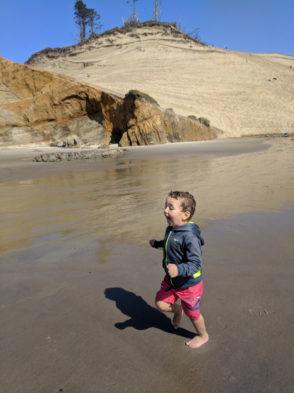 We’ve got plans for exploring the Honeyman Sand Dunes, visiting the Haceta Head Lighthouse, Sea Lion Caves and much more. If you have any other recommendations please let us know!!! The plan this week is just to have fun exploring, finding something new each day. 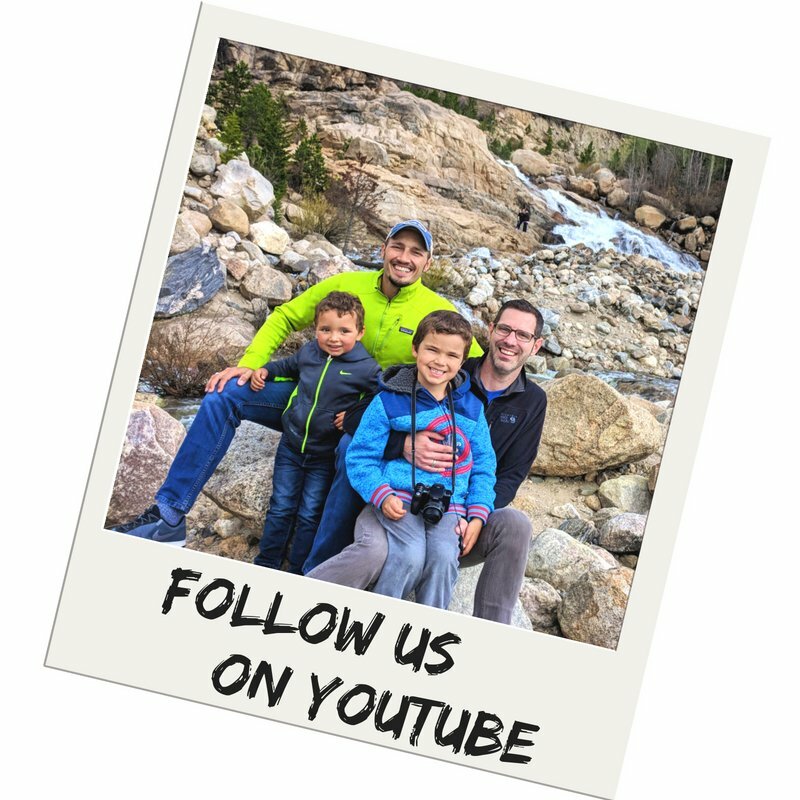 Our goals are simply to enjoy nature and capture some fun moments with the kids. We started our journey in Portland, Oregon. 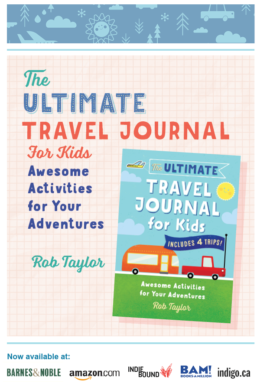 We’ve been to Portland before, but never with the intent of exploring and having fun. 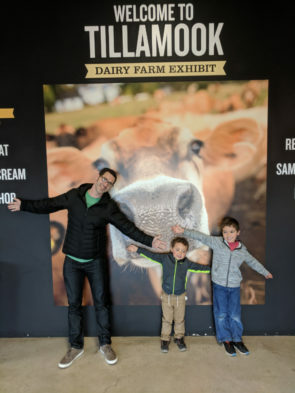 We made a point to find some great kid-friendly activities in Portland and scored. 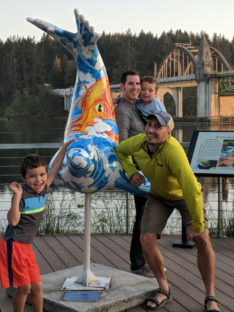 Our first stop was the Oregon Zoo on the west side of Portland. 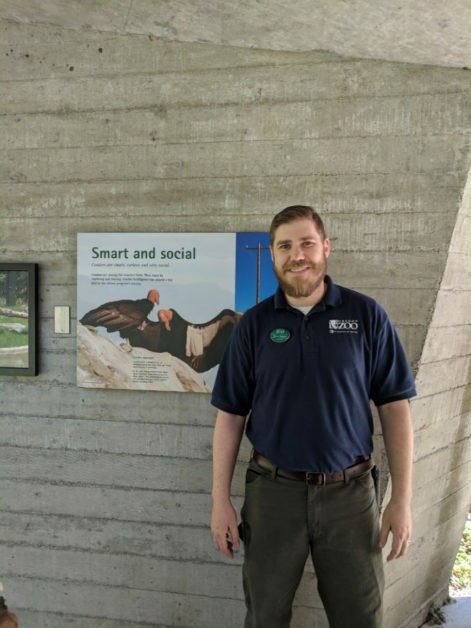 They were so kind as to set us up with a special meeting with Travis, the curator of the avian program. 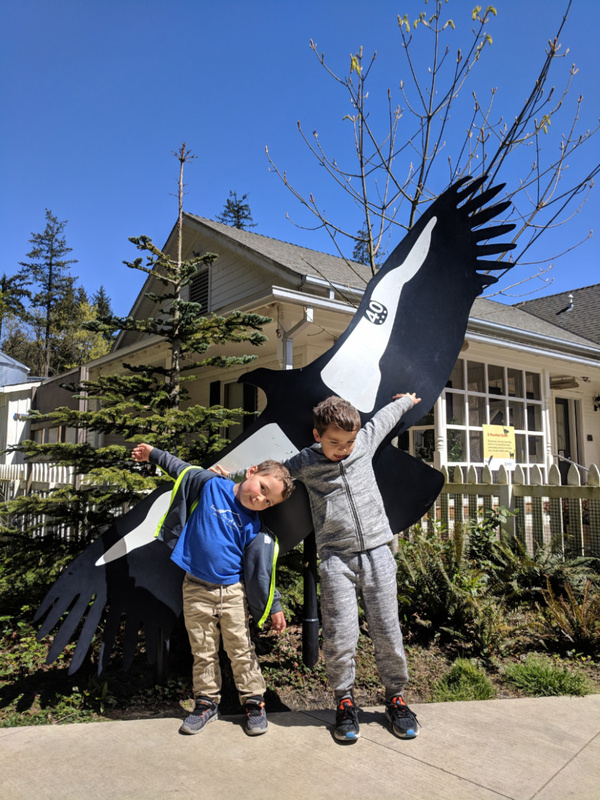 He shared all kinds of awesome information about the condor conservation program and was ready to teach more. What a cool experience! We also did some great hiking directly within the city. 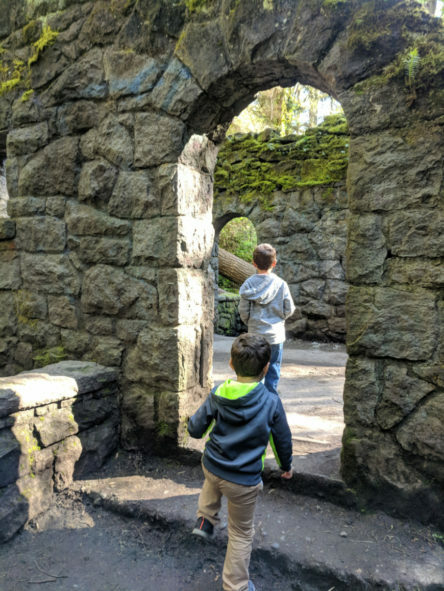 We headed to McLeahey Park to seek out the Witch’s Castle. This 1.5 mile round trip hike was on the recommendation of friends from Portland and it was great. 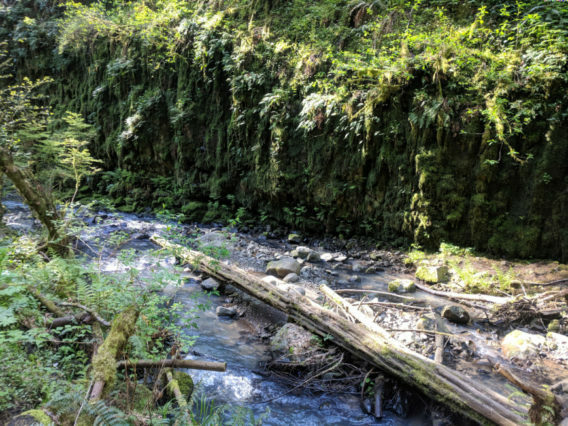 Hiking over streams, past small waterfalls, surrounded by the beautiful PNW flowers and ferns, it was the perfect hike with kids. At the end of the hike we found the Witch’s Castle: some ruins of a structure built many years ago, left abandoned in the woods. The kids were pretty certain that the castle belonged to the King of Oregon… whoever that was. 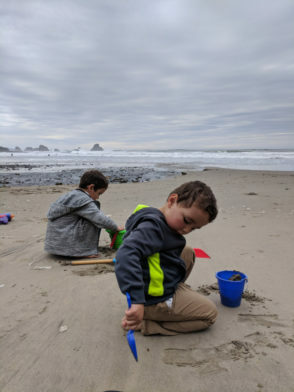 An hour and a half from Portland is either Cannon Beach or Seaside, Oregon. We opted for Cannon Beach because we were going to be heading south anyways. Beginning at the Public Coast Brewing we had lunch and beer and it was delicious. Both Chris and I went for the Sitka burger, a burger topped with secret sauce and a fried egg. 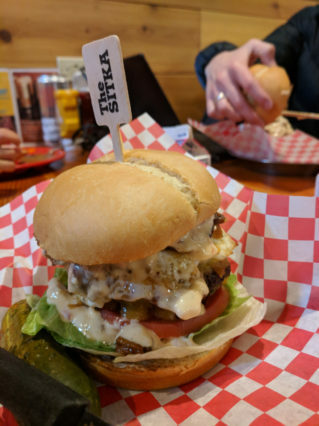 So good and truly perfect when it comes to a burger. 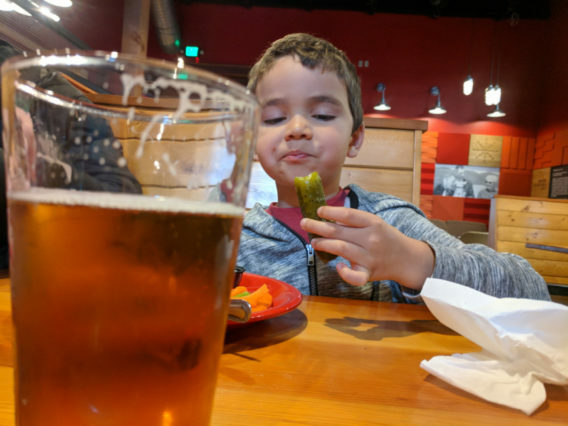 And always feel confident ordering an imperial IPA. 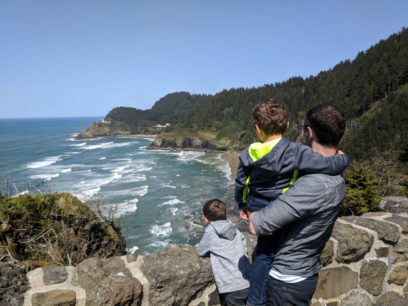 And then there was Ecola State Park. 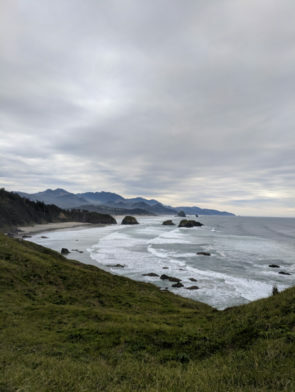 Ecola is the ultimate place for views and beaches. 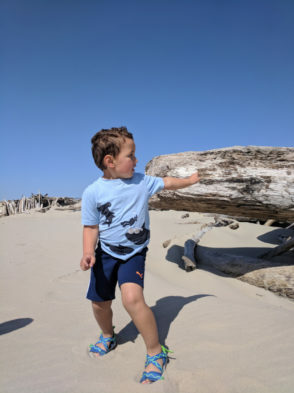 We started at Indian Beach for some time enjoying driftwood and sandcastles. I love when we find a beach that’s practically empty. And then we headed to the viewpoints for some hiking. We did spy an unobstructed view of the Tillamook Head lighthouse and the stacks looking south across Cannon Beach. We watched for a while… but there was no pirate ship today. One Eyed Willie didn’t sail away today. 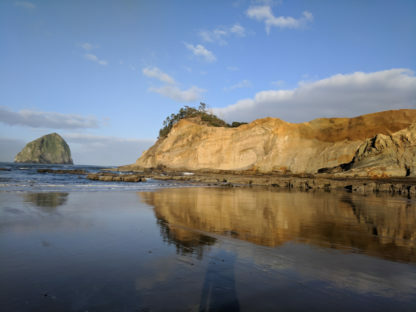 This little town is ideal for an Oregon Coast weekend getaway. 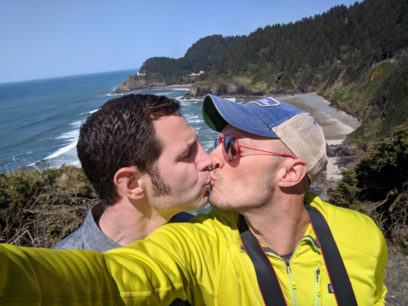 Not only is it right on the beach at Cape Kiwanda, but it’s cute. No, it’s picturesque. The building are all that stereotypical Oregon Coast driftwood shingle and there are kites in the air. 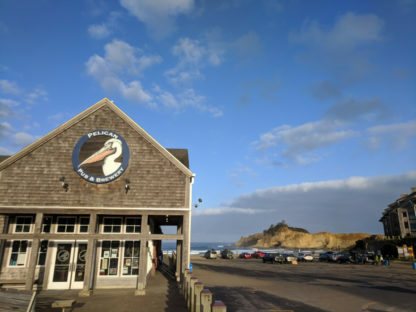 Pacific City has a great brewery, the Pelican Pub and Brewery, nice little bakery/coffee shop, a good marketplace with locally caught fish and an epic kite shop. Our accommodations in Pacific City are kind of awesome. 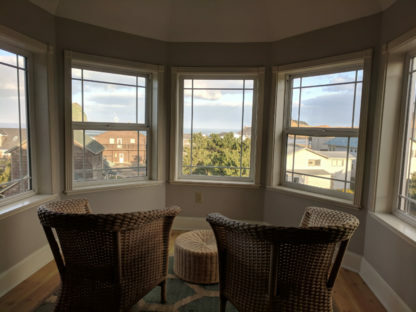 We booked through VRBO and found a great beach house that could fit our family and our friends. 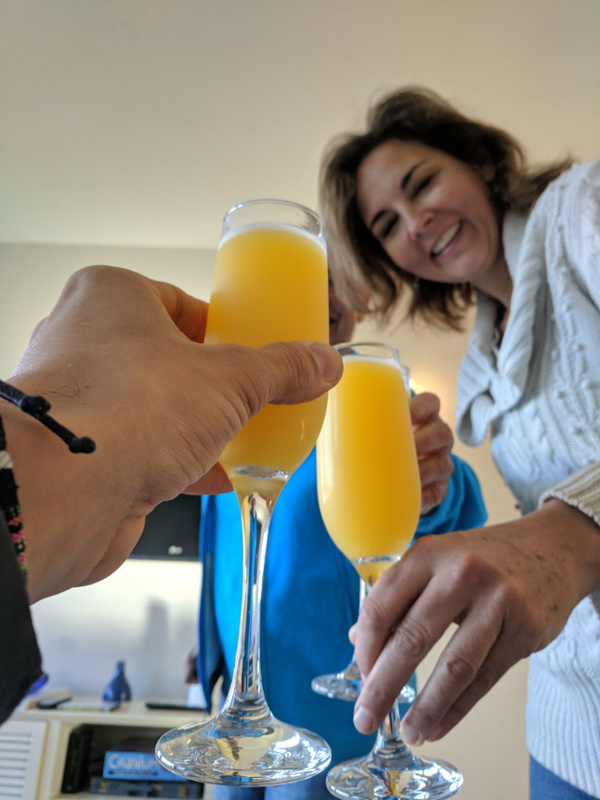 Since the specific property we booked was having some sort of maintenance issue, the property management company in Pacific City was forward thinking enough to set us up with a different vacation house before we even rolled into town. It’s the coolest Cape Cod style house with five bedrooms and plenty of relaxation space, a block from the beach. 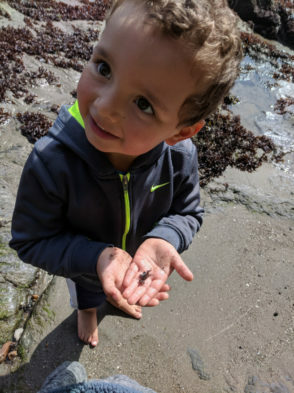 We’ve really enjoyed the freedom of being able to come and go as we please, spending time walking the beach and exploring tide pools. 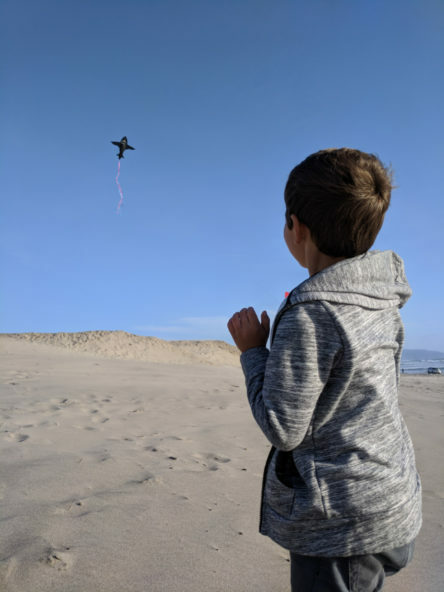 We’ve been flying kites and digging in the sand. We’ve been grilling at our little, I mean huge, vacation house. 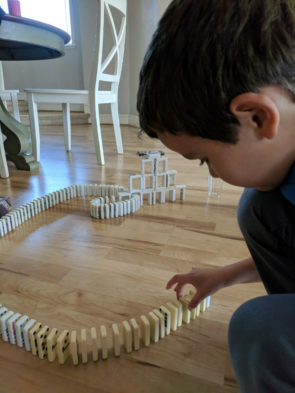 The kids have been playing dominoes and feeding the resident bunny rabbit. And there’s been lots of great conversation and local beer with our friends. 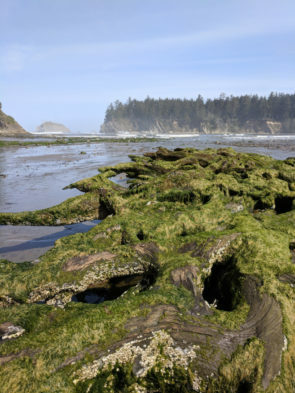 It’s the perfect Oregon Coast weekend getaway. 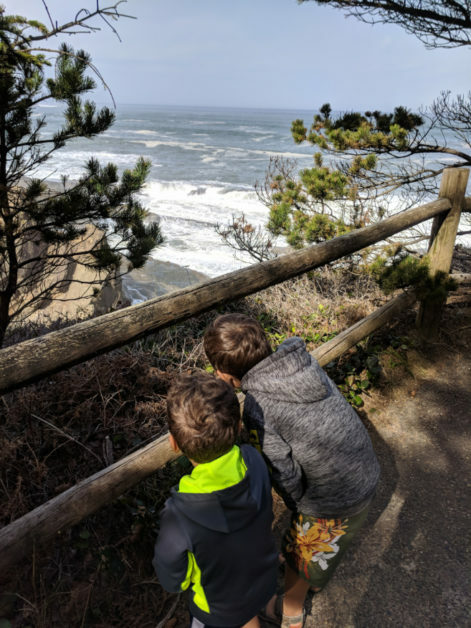 We’ve decided that in the next few years we’ll be dedicating two weeks during the summer (probably a September) for exploring the Oregon Coast much slower because it’s beautiful and we NEED to eat all the seafoods. All of them. The Yaquina Head Lighthouse is located off the 101 just north of the City of Newport, Oregon. While it’s not the tallest lighthouse on the west coast, it is the tallest in Oregon. And because we’re sure to visit lighthouses everywhere we can, like in St. Augustine or the Ponce Inlet, we are used to some pretty grand towers. This one is great though and has a really cool visitors center. 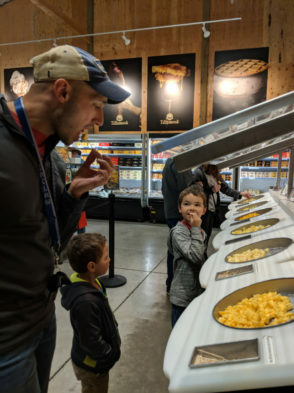 There are lots of interesting displays for kids, tons of nautical history stuff, and some nifty displays all about how lighthouses work. 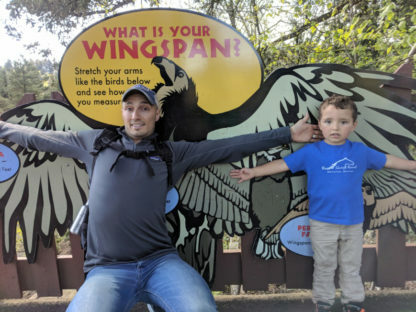 Visiting the Yaquina Head Lighthouse is really easy. You can either hike for 15 minutes from the visitors center or just drive up to it. From the parking area you can access the lighthouse, the viewpoints and the tide pools. To go up into the lighthouse you do need to go on a guided tour with one of the rangers/docents. 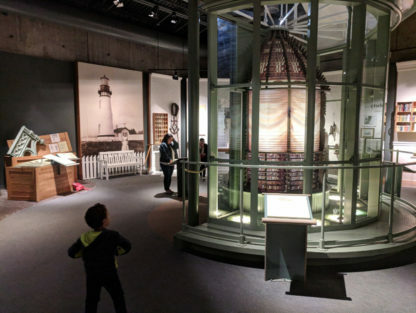 This is great for big kids and adults, but kids 42″ and under can’t climb the lighthouse… so next time we’ll get to go up. When at the lighthouse we did get to have our own special wildlife moment. 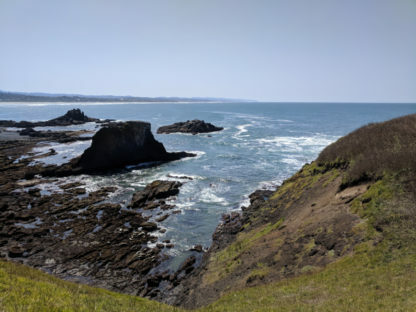 While we were on the cliff looking down at the tide pools below and admiring the harbor seals sunning themselves on the rocks, we got to see a gray whale surface just off Yaquina Head. We didn’t get a great, long lasting view, but saw it surface, spout and disappear. Love the Oregon Coast! 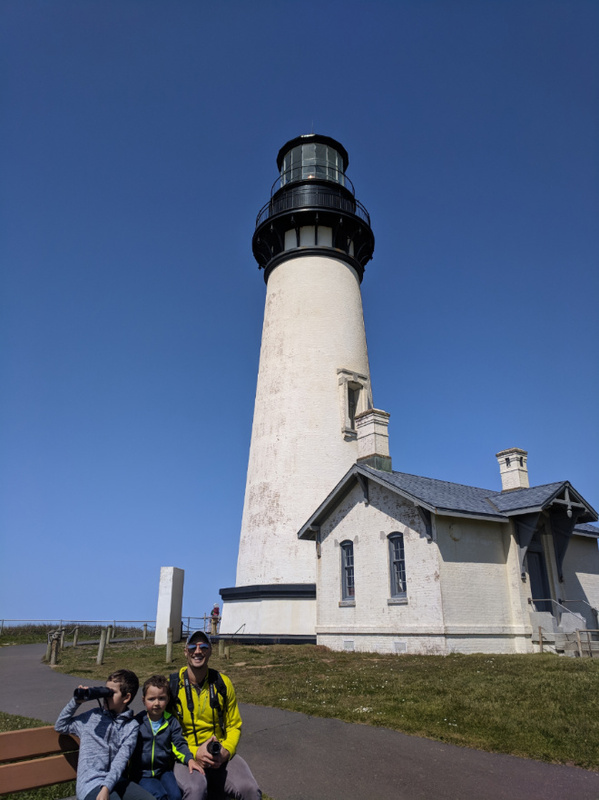 Tip: make sure you have your National Parks pass because the Yaquina Head Lighthouse and area are a part of the Bureau of Land Management, so you can save $7.00 USD if you have your pass. Just before arriving in Florence, we passed the entrance for the Haceta Head Lighthouse. We didn’t stop because we have that planned for later this week, but knew that just in case the weather turned, we’d need to use one of the vista pull outs to see it. 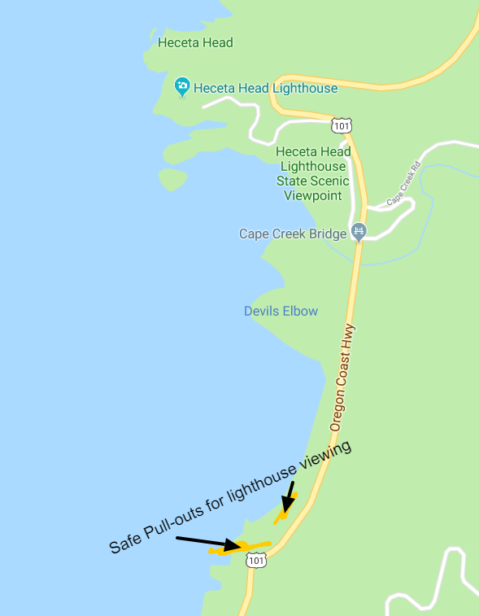 Pulling just off the road in one of the two safe areas, you get a super fantastic view of the Haceta Head Lighthouse, the coves below and countless sea lions barking on the shore and in the water. 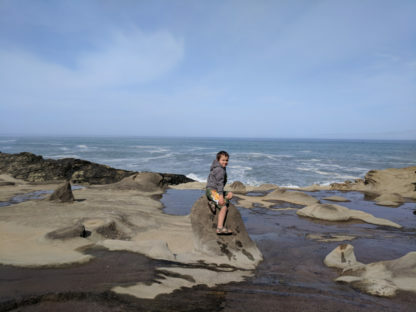 It’s that perfect spot that captures the full beauty of the Oregon Coast: nature, jagged coast, lighthouses. After we checked into our little hotel, the Old Town Inn, we headed off to the beach. We went to the Harbor Vista Co Park, just outside of the main town of Florence. After crossing the dunes between the parking area and the beach, we were there! 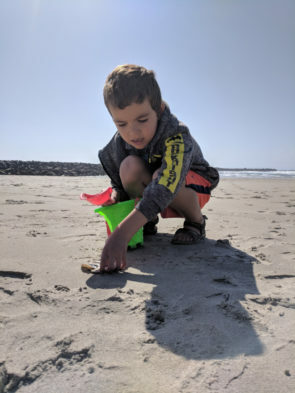 The kids were totally stoked to have time to dig and run and collect shells… and I wrapped up in a blanket and tried not to get sand blown into my eyes. 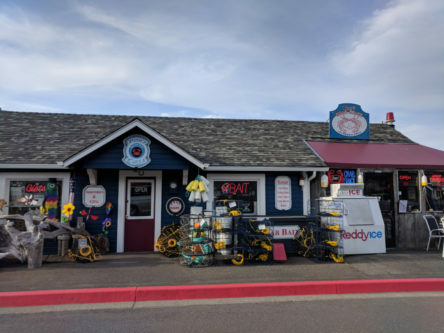 You know how sometimes you’ll see a restaurant and be like “That looks like a tourist trap.” When we saw Mo’s on the water with its neon and totally ideal fishing village setup, we thought that was the case, but we went in anyways. 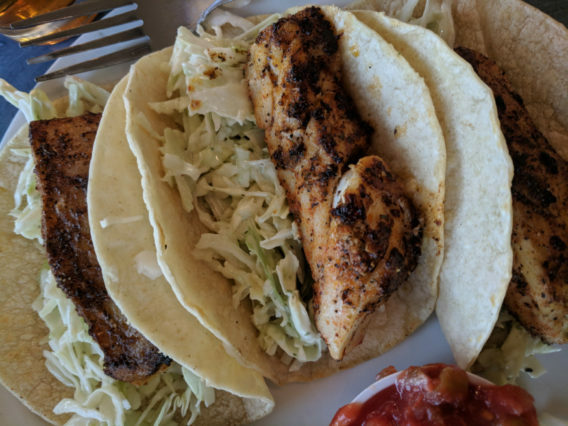 It was delicious, fresh, and perfect for our family. 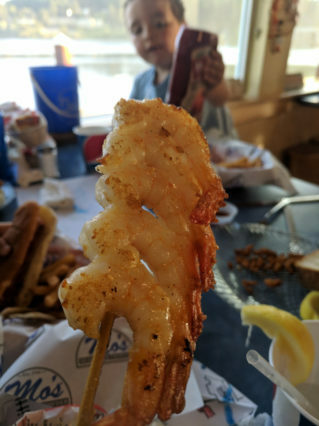 The service was wonderful, particularly since we have to deal with an intense food allergy, and the prices were good. It checked off all of the boxes for us… and we may go back one more time before we leave Florence. After dinner we walked through Old Town Florence and enjoyed the view along the boardwalk. If we weren’t already in love with the area for being full of fun and totally laid back, this short stroll sold us. Heading south out of Florence, Oregon you’ll come to Coos Bay. It feels like a logging town meets a fishing village and is the gateway to some epic coastline. 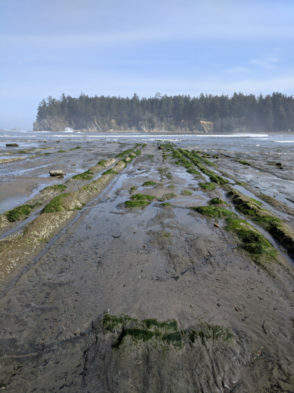 Driving out to the coast (fifteen minutes maybe) you’ll come to Shore Acres State Park. This place is pretty cool for a few reasons: 1.) 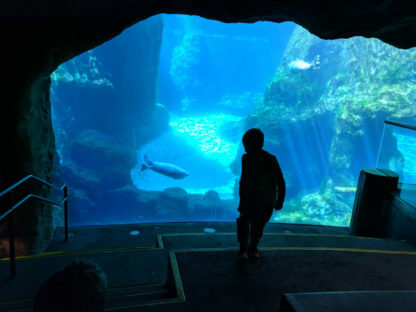 the quite coves for swimming and relaxing 2.) the crazy huge swells that crash into the cliffs and 3.) 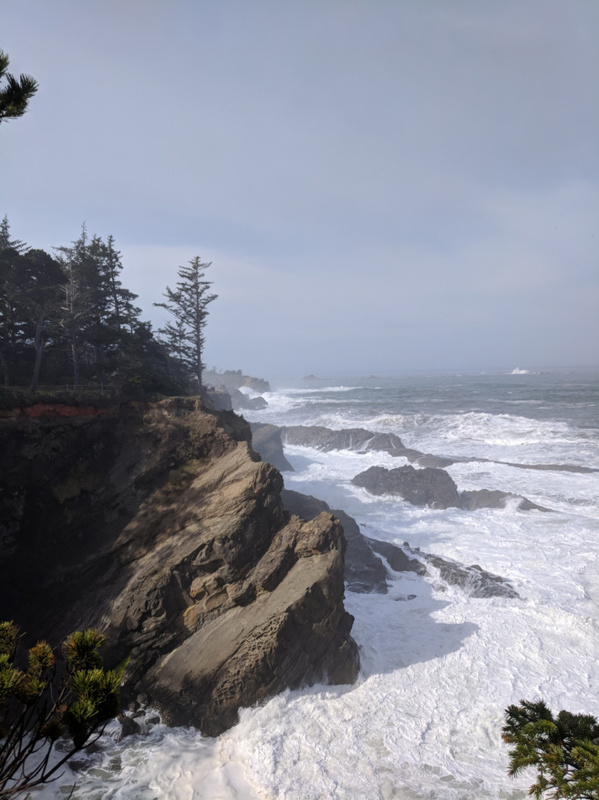 the views of the Cape Arago Lighthouse. 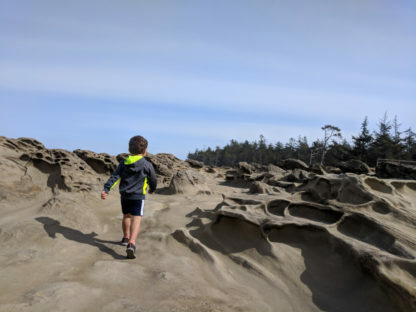 We didn’t drive all the way out to Cape Arago State Park since Shore Acres met our needs for beaches, tide pools, big waves AND lighthouses, but next time we will trek all the way out there. I bet it’s beautiful and just as epic as its neighboring park. 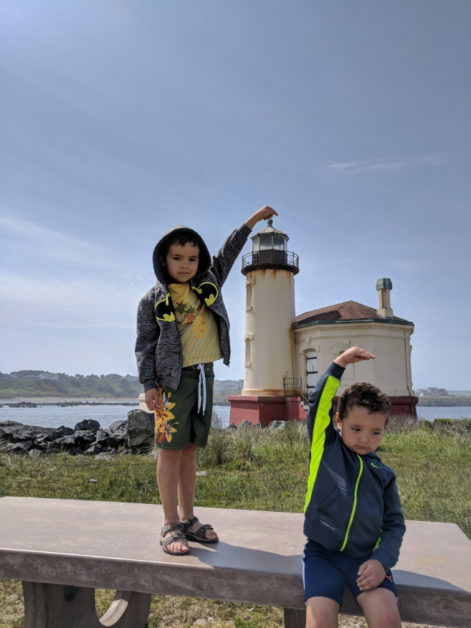 We really wanted to make it down to the Coquille River Lighthouse and get some beach time. 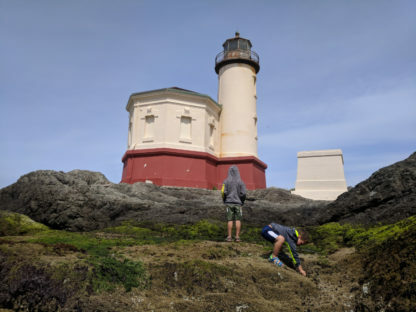 The extra half hour past Cape Arago was totally worth it to be able to score some tide pools, beach combing and one of the coolest lighthouses we’ve been to. I know, if you’re not into lighthouses you’re probably like “Obsessed much?” but I think they’re the coolest and they always remind me of Pete’s Dragon so we seek them out. 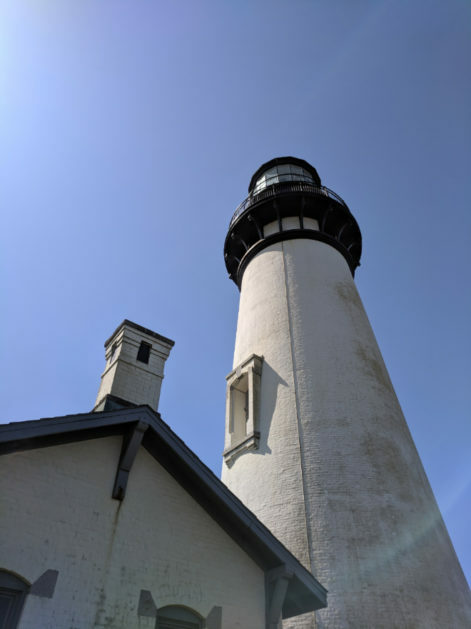 The Coquille River light isn’t tall, but it’s unique. 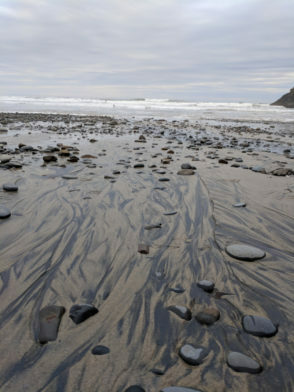 It’s on the river and is surrounded by tide pools on one side and tall sand dunes on the other. It’s out of commission these days, but visiting you’ll still hear to loud blast of the fog horn (now across the river) so if you’re into nautical stuff, it feels like you’re visiting an active light. 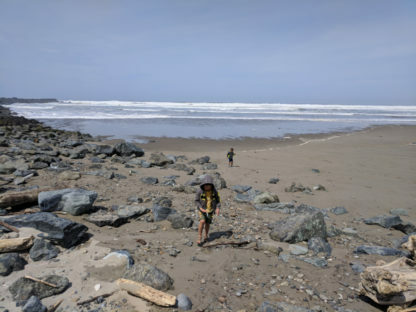 Also at the Coquille River Lighthouse, located within Bullards Beach State Park, is a long jetty for strolling, dunes for exploring, and a beautiful beach for relaxing. The wind isn’t too bad here, so we totally took advantage of chill beach time. 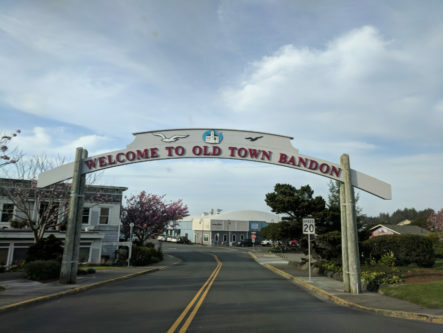 After we were done down in the Bandon, Oregon area, we headed back north. 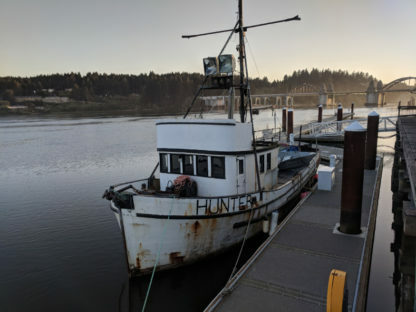 We made a nice stop into Coos Bay for lunch at Flappers Coffee House (all about flappers and art deco goodness) and then drove back to Florence, our home base… and then the police called. 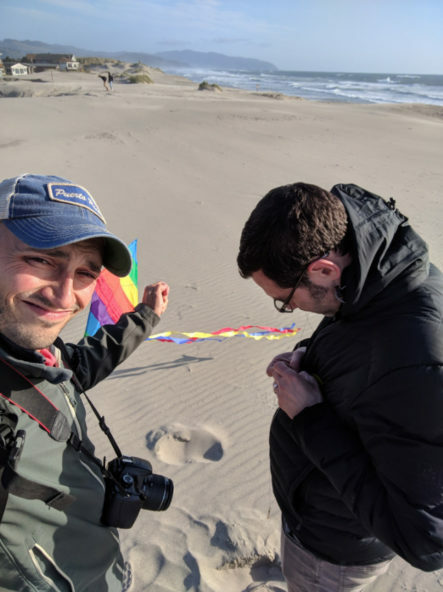 The Bandon Police were kind enough to let us know that I left my back pack with my camera equipment at the lighthouse and that they were holding it for me. We all piled into the car and headed back down to Bandon. Thank goodness that hour and a half drive is a beautiful one… cuz we had to do it down and back again. You know that we’re all about the outdoors whenever possible. 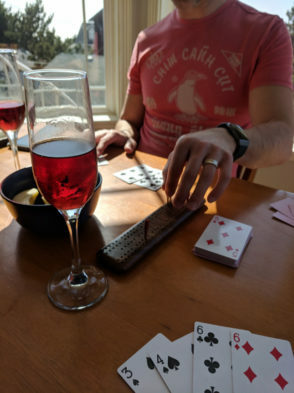 Yeah, we totally love the beach and could go to a different one every day and be totally content, but we’re always looking for other cool activities. 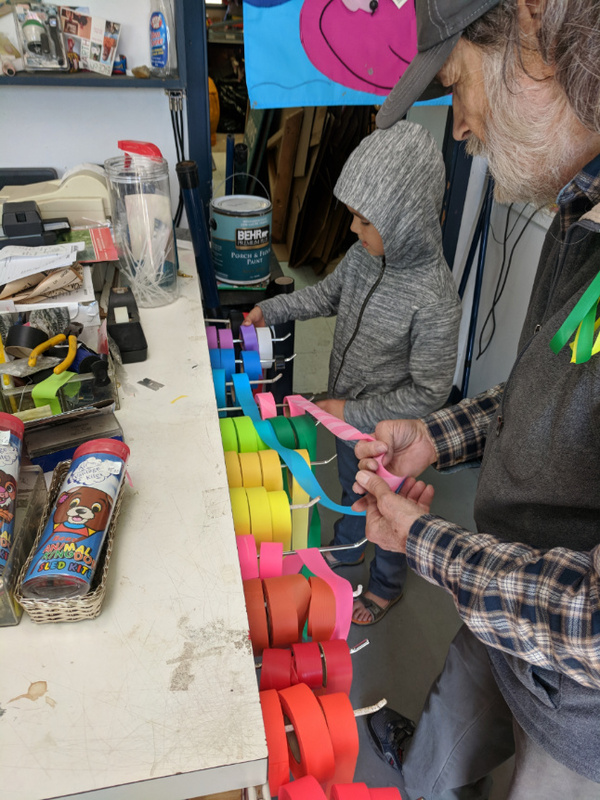 Sometimes when we’re traveling, Chris has to work so we always have a backup plan or two about what can fill our time. Today we went out on a limb and went kayaking with only one Dad. Yep!!! I did it alone and we lived to tell the tale! 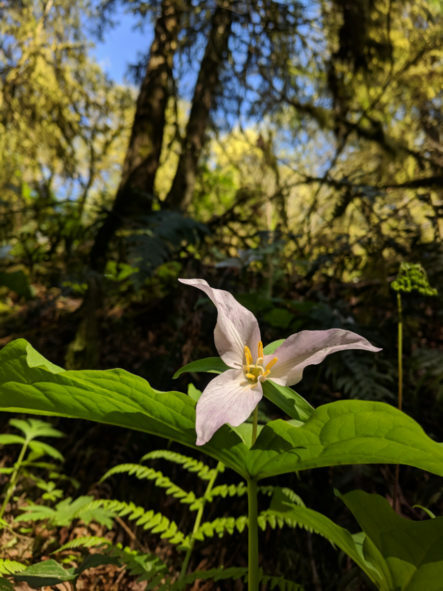 Honeyman State Park is a place I went to several times as a kid… but it’s been twenty-five years since the last time. I took the kids today and we conquered it! Heading to the day-use area, we unloaded our kayaks and took them to the water. 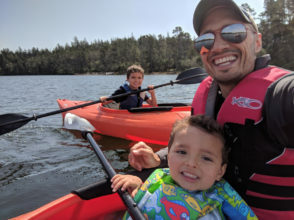 We travel with our own life jackets so there was no need to borrow them from the State Park even though they are provided. 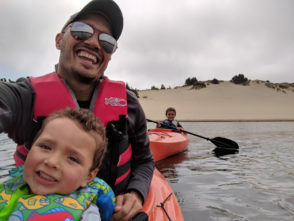 Once we were at the shore, Oliver looked at me and said “Now what?” I whipped out a carabiner and linked our kayaks together. Paddling/steering problem solved. 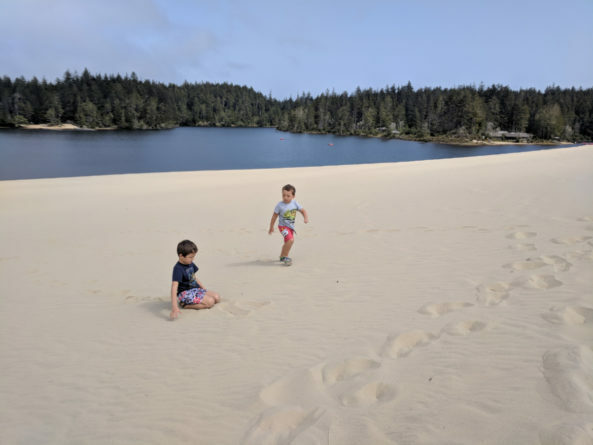 We went around one of the two lakes at Honeyman State Park and then shored up at the base of a huge dune. 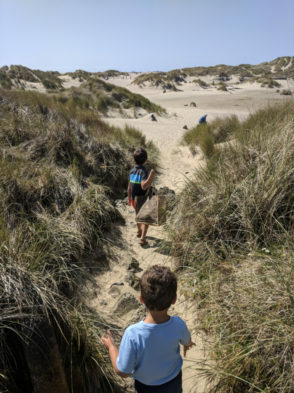 After playing in the sand and digging a bit, the kids were totally into hiking the sand dunes. Yeah, um, have you done that before? 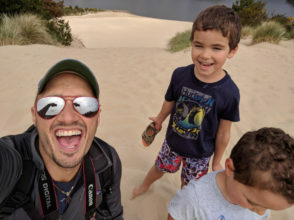 Hiking sand dunes is physically exhausting. We all made it to the top where the view was even more sand dunes. But then there’s no rest for the weary: we had to run down the dune as fast as possible… and then hike back up again and again. Good times. We paddles back to our car, loaded up the kayaks and moved on. 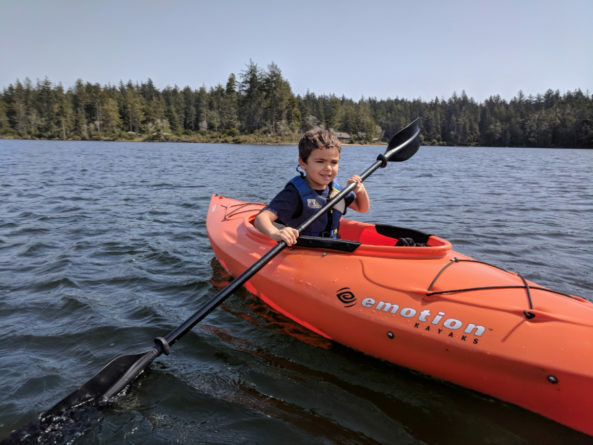 See also: we love kayaking so check out our Kayaking around Washington State ideas! 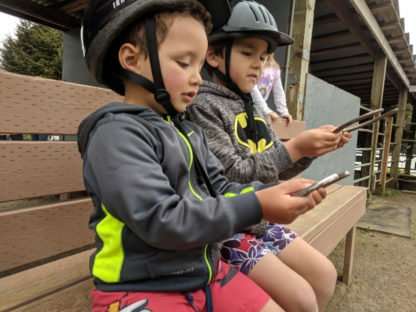 When I told the kids we were going horseback riding today I got mixed responses… It’s been six months since we were last on horses at the Bar W Guest Ranch in Whitefish, Montana. 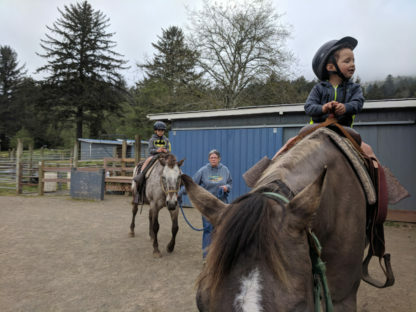 We arrived and got the kids fitted with helmets (a must for little horsemen) and got to meet our horses for the day. Due to age restrictions, we were limited to a corral ride which Oliver was NOT excited about. I mean, he’s all about the trail. 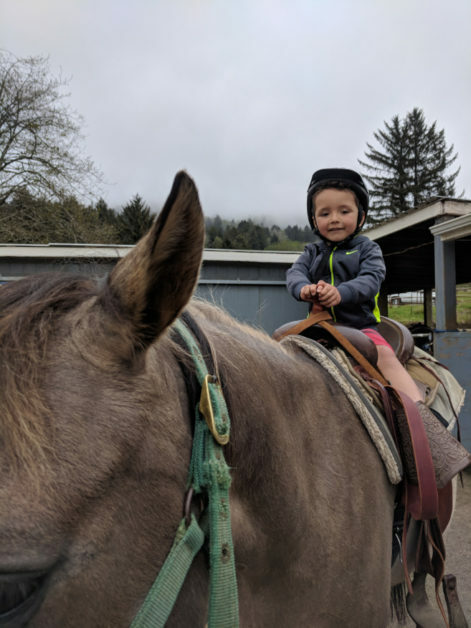 Two minutes after being on Mocha and falling in love with his horse, he was totally excited. He and Elliott were in horse heaven. 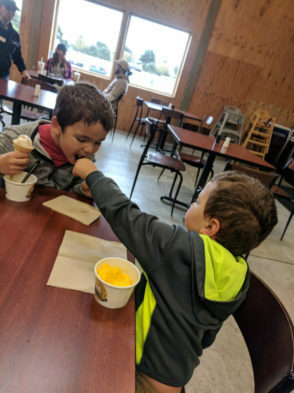 Our corral-hand was wonderful with the kids so patient with all of their questions. A great time for all bonding with horses and continuing to build our horseback confidence! Fun fact: did you know that I (Rob) used to be a trail guide in Alaska, taking guest up mountains and through Alaskan forests? #TrueStory. I love horses! …check back for updates throughout the week!